When I taught myself to knit 16 or so years ago, I asked this very same question. I recall coming across a very simple answer: "Two. Knit and Purl". And while this is technically correct, it doesn't take into account the different variations of working those two stitches to create different fabrics. The first stitch most knitters learn is the Knit stitch. This is worked by inserting the RH (right hand) needle into the front of the stitch (also known as knitwise), wrapping the yarn counter-clockwise around the RH needle and pulling this wrap through the old stitch creating a new loop on the RH needle, then simultaneously dropping the old stitch off the LH (left hand) needle. Essentially you're creating a new loop from the middle of an old loop. You can create Garter Stitch fabric by knitting on the RS and WS of the fabric. You can create Stockinette Stitch fabric by knitting on the RS and purling on the WS (we'll get to purling in just a moment). 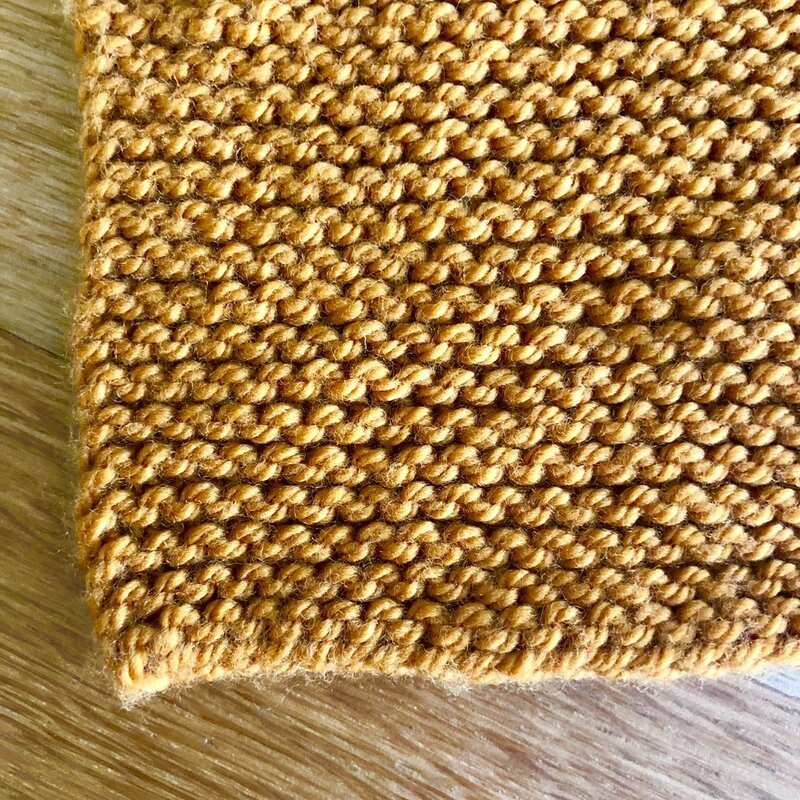 Once we new knitters grow tired of knitting everything in garter stitch, we want to dive into Stockinette Stitch (as mentioned above). To create a stockinette stitch fabric worked flat (i.e. : worked on the RS and WS of the fabric) we have to introduce ourselves to the purl stitch. The purl stitch is essentially the reverse of a knit stitch. To work a purl stitch the working yarn needs to be in front of the stitches we plan to work (rather than behind when creating a knit stitch). Insert the RH needle into the back (or purlwise) of the stitch, wrap the working yarn counter-clockwise over the RH needle and, pulling this wrap through the old stitch, create a new loop on the RH needle, then simultaneously drop the old stitch off the LH needle. Fun fact?! If you PURL on the RS and WS of a fabric you get garter stitch, just like if you were to KNIT on the RS and WS of a fabric. Neat, right? As I mentioned above, we use the purl stitch to create a stockinette fabric (right hand picture, above) by KNITTING on the RS and PURLING on the WS. However! The purl side of stockinette fabric doesn't look the same as the knit side (unlike garter which looks the same on both sides). 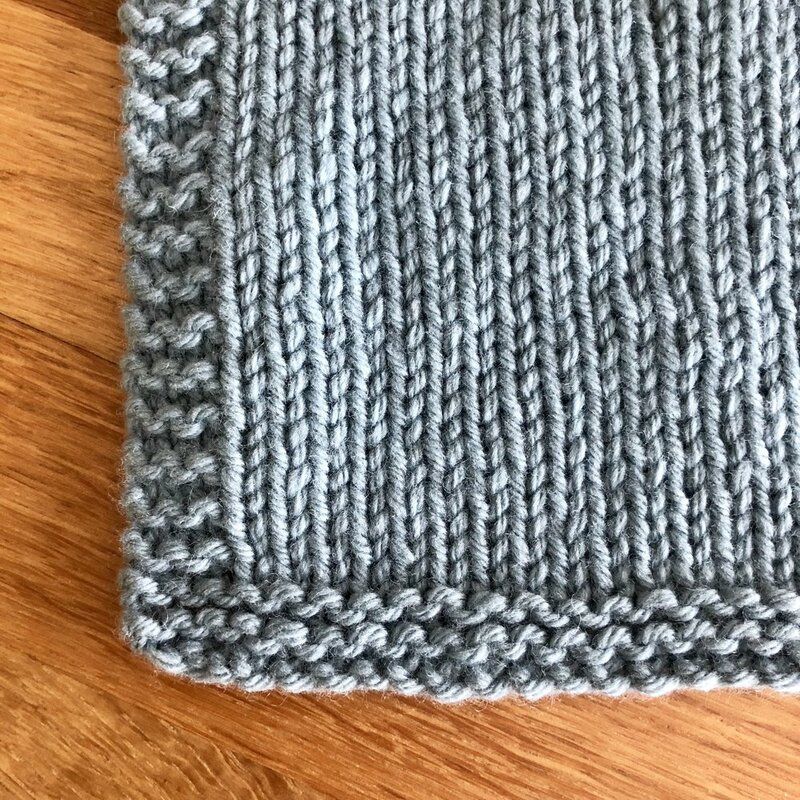 The purl side of stockinette fabric, also known as Reverse Stockinette, looks like a series of alternating bumps, "smiles" and "frowns" if you will! What if I'm working in the round? I'm so glad you asked! These two fabrics (Garter and Stockinette) can both be easily worked in the round (i.e. : stacking stitches on top of each other on the RS only, without turning the work to the WS) but the order of operations may vary. Let's break it down for comparison. If you're new to knitting, I recommend giving both of these fabrics a try, either flat or ITR (in the round). See which fabric speaks to you and when you prefer one stitch over the other. I am a knit-fan all the way. I'm far slower when I purl. And next week, we're going to look at some variations on these two stitches: twisted stitches and ribbing!